So many times we have a special event or announcement that we are looking for the perfect way to make it an extraordinary moment. It could be announcing a life change, a wedding, anniversary, birthday, a proposal or even celebrating all of the little moments of life itself. We have so many wonderful people who come to share their special moments with us and we are grateful for every one of those experiences. We would love to share in your special moment too and help make it a moment that takes any special event to an extraordinary event that will never be forgotten! Birthday and wedding anniversaries are always a fun time to celebrate yet another year. 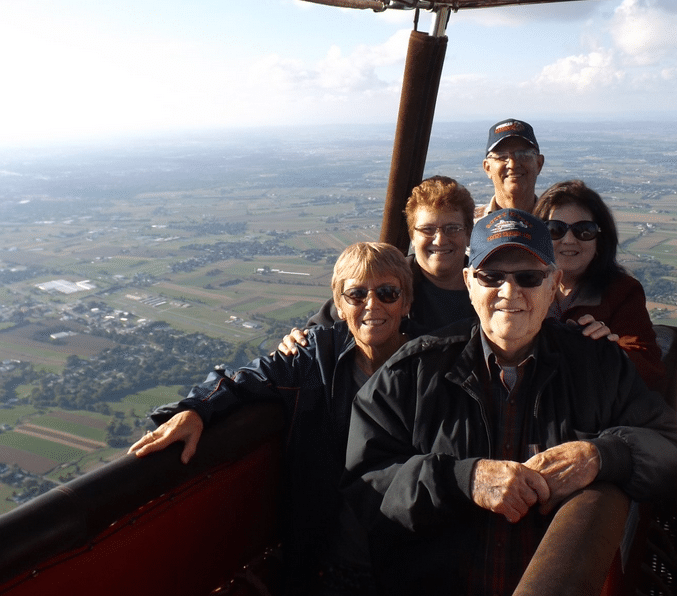 Enjoying a hot air balloon ride with your family or friends is a great way to start a birthday celebration. Imagine asking your special someone to be your wife gently gliding above the beautiful farms of Lancaster County. Enjoying the beautiful views and the love of her life by her side traveling into the next chapter of your lives together, what is more breathtaking than that? You can even invite us back and tether a balloon at your wedding to give everyone a tethered ride on your special day! Unfortunately, sometimes, life can throw us a hard ball we weren’t expecting. We learn life can be way to short. We have been fortunate enough to celebrate the appreciation of life with some amazing people. Those who want to live life to the fullest take the bull by the horns and experience everything that life has to offer. This is one of those moments you see what life really is…quiet moments with your loved ones, breath taking views and a deep rooted appreciation for Mother Earth. If you have any event that is near and dear to your heart that you are looking to make extraordinary call the US Hot Air Balloon Team to take your event to the next level. We can help personalize your moment to make it just what you are looking for. This is your moment, what are you going to do with it? Call to book your flight today at 1-800-76-FLY-US.